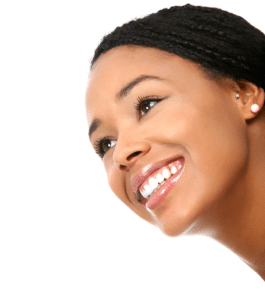 Where Can I Find Braces In Cortlandt Manor NY? Our team at Glaser Orthodontics specializes in orthodontic care including braces, clear braces, Invisalign, and Invisalign Teen in Cortlandt Manor NY. We are dedicated to providing high-quality orthodontic treatment at an affordable cost that accommodates any budget. 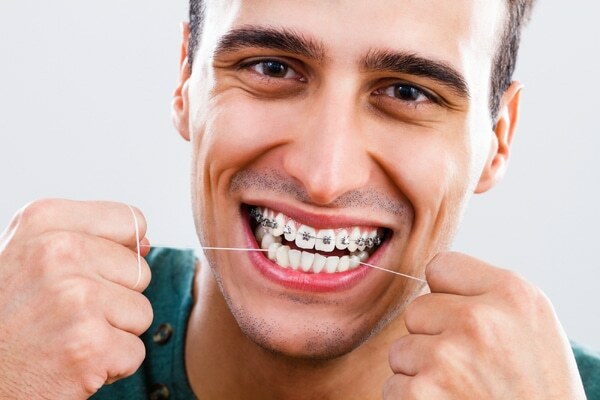 We understand the importance of brushing and flossing regularly with braces to ensure teeth and gums remain healthy. Braces may require some patients to alter their diet in order to avoid damaging braces such as broken brackets or wires. An orthodontist in Cortlandt Manor NY recommends that you eat softer foods such as rice, pasta, steamed vegetables, and fruit. Even desserts such as ice cream or yogurt are recommended, as the cold can provide relief for irritation. Keeping your teeth clean is an important part of orthodontic treatment, and it may take some time to adjust to brushing with braces. However, it can take years to straighten teeth with braces, and any damage to wires or brackets will increase the length of your treatment. To prevent damaging braces, select a variety foods you are able to eat comfortably and safely. 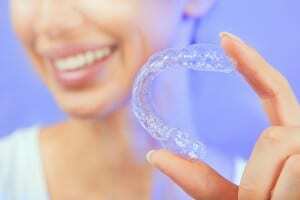 If you are looking to achieve straighter teeth, but do not want to alter your diet or appearance, Invisalign is an ideal option. Both Invisalign and Invisalign Teen provide the same results as traditional braces while remaining removable and nearly invisible. In conclusion, our team at Glaser Orthodontics are experts in orthodontic treatment. We are here to answer any questions or concerns you may have regarding braces and what foods to eat with braces in Cortlandt Manor NY, Croton On Hudson NY, Buchanan NY, Peekskill NY, Yorktown Heights NY, and the surrounding areas of Westchester County NY. Contact Glaser Orthodontics to schedule a free consultation today. Call now 914.739.6400. Where Can I Find The Cost Of Braces Near Me? Our team at Glaser Orthodontics specializes in orthodontic treatment including braces and clear braces in Cortlandt Manor NY. Every patient who receives braces begins with a complimentary consultation, where Dr. Glaser will assess your needs and design a custom treatment plan. 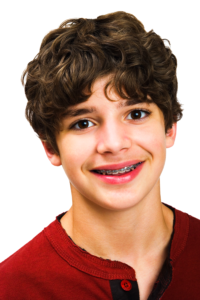 How Much Is The Average Cost Of Braces In Cortlandt Manor? The average cost of braces is different for each patient on a case-by-case basis. The braces cost is usually dependent on specific individual factors such as the location of treatment, the complexity of issues to be treated, and the number of visits required with a Cortlandt Manor orthodontist. However, the cost of braces in Cortlandt Manor may be cheaper than surrounding areas such as higher income neighborhoods or larger cities. 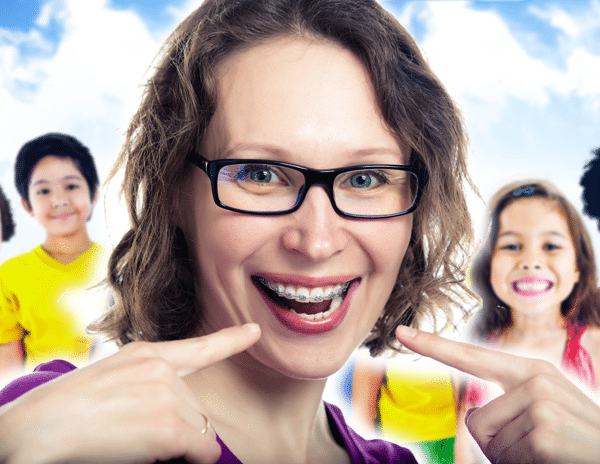 At Glaser Orthodontics, we understand the cost of braces may become overwhelming to any budget. As a result, we accept multiple payment methods as well as offering flexible financing options. Financing allows patients to break down the total cost of braces and spread them out into smaller payments throughout the duration of treatment. Does My Insurance Cover The Cost Of Braces? If orthodontic treatment is included apart of your insurance coverage, you may receive the benefits of reduced out-of-pocket-expenses. Our goal is to make treatment affordable for all patients. As a result, we accept most major insurance providers. During your initial visit, we will discuss all available options in order to decide the best choice for you. Dr. Glaser and our team at Glaser Orthodontics are experts in orthodontic treatment. We are here to answer any questions you may have involving braces and clear braces in Cortlandt Manor NY, Croton-On-Hudson NY, Jefferson Valley NY, Yorktown Heights NY, and surrounding areas of Westchester NY. Contact Glaser Orthodontics to schedule a free consultation today! Call now (914) 739-6400. At Glaser Orthodontics, our goal is to offer affordable orthodontic care such as braces and clear braces to all of our patients in Westchester County. Where Can I Find Affordable Braces Near Me? Every beautiful new smile begins with a complimentary consultation with a leading orthodontist in Cortlandt Manor such as Dr. Glaser. At Glaser Orthodontics, we understand that the cost of braces can vary based on your individual needs and we don’t want any unplanned expenses to affect your budget. As a result, we always work with our patients to make sure treatment costs remain affordable. Braces work by applying constant pressure to gradually shift teeth in the desired direction. 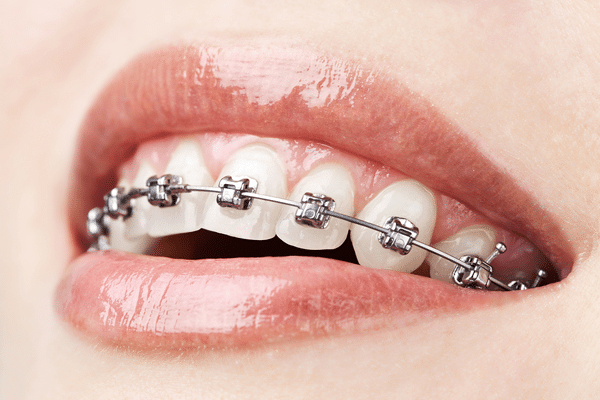 Traditional braces are composed of stainless steel brackets, archwires, and elastics, which are periodically tightened throughout treatment. If you suffer from common issues such as overbite, crooked teeth, crowding, or spacing, a visit to Glaser Orthodontics can make the smile you desire one step closer. In addition to providing straight teeth, braces can also offer significant benefits such as reducing tooth damage, preventing jaw problems, and improving overall health. The cost of braces can vary for each patient and is dependent on specific factors such as the severity of duration of treatment, the severity of issues, and your location. Being that no two patients have the same needs, no two treatment plans are ever identical. In order to find out custom details for your own treatment, you will need to meet with a Cortlandt Manor orthodontist at Glaser Orthodontics. The answer to this question can be different for each patient. At Glaser Orthodontics, we understand that each patient has their own personal needs and goals. Dr. Glaser will be there every step of the way during treatment until you achieve the desired results. Dr. Glaser and our team of professionals at Glaser Orthodontics are experts in orthodontic treatment. 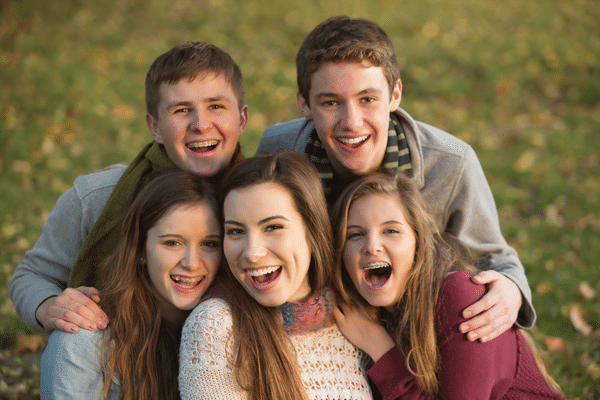 We are happy to answer all of your questions or concerns regarding braces, clear braces, Invisalign, or Invisalign Teen in Cortlandt Manor NY, Croton-On-Hudson NY, Briarcliff Manor NY, Buchanan NY, Montrose NY, Yorktown Heights NY, and surrounding areas of Westchester County NY. Contact Glaser Orthodontics today to schedule a complimentary consultation. Call now (914) 739-6400. How Can I Make Wearing Braces More Fun for my Child? 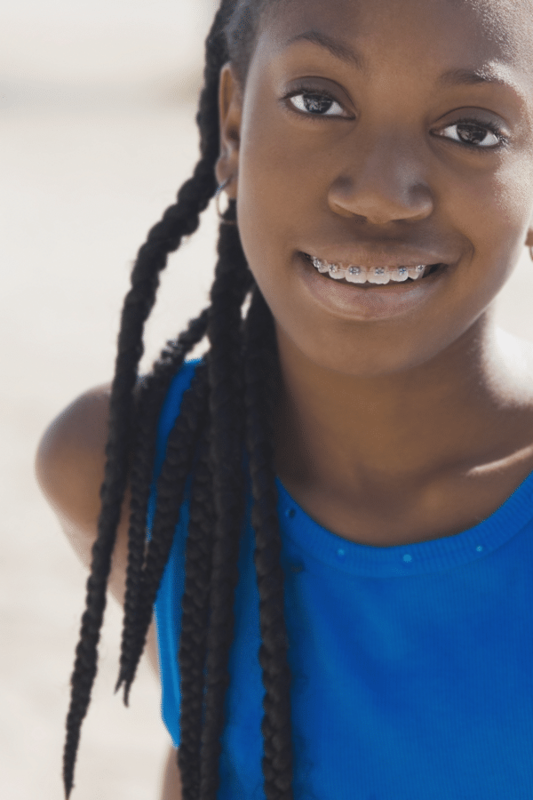 The idea of having to wear braces to correct an orthodontic issue is not a fun prospect for a kid near Yorktown Heights NY. For parents, getting your child to look forward to their treatment may be a tough sell. But braces are often a necessary step in helping a child’s teeth to grow in strong, straight, and functional. They can be, however, visible, uncomfortable, and limiting for the child wearing them. Dr. Barry Glaser and the team at Glaser Orthodontics know that the time, effort, and expense put into orthodontic treatment now will bring lifelong benefits to the child in terms of a healthy mouth, straight teeth, and a secure self-image. They have ways that can help your child come to terms with the idea of wearing braces and maybe even make wearing braces more fun. To provide your kids with some motivation for good brushing and flossing habits, give them some positive reinforcement. Baking some favorite (soft) desserts is a great way to spend time together with your child and to illustrate how good food and good times are all still available to them while they are wearing braces. 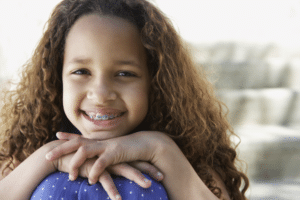 Some orthodontic treatment plans require the patient to wear rubber bands around their braces. Colored bands are now quite common and come in an array of colors to choose from. Have your child consider a color scheme like the colors of their favorite sports team, their school’s colors, or holiday colors. It’s also fun to have them pick just one of their favorite colors, with the possibility of changing them during adjustment visits. The folks at Glaser Orthodontics say that it’s great to plan a special activity after a successful visit to the orthodontist. There are lots of fun things to do near Yorktown Heights! Going to the park, seeing a movie, or playing their favorite video game together will get children excited for their orthodontic appointments. It can be anything really, just consider what your child enjoys and try to turn that into something that both of you can enjoy together. A photographic timeline of your child’s orthodontic development will show them that their braces are working and that dedication to their treatment will leave them with great looking straight teeth. Dr. Glaser says that this is also extremely helpful to him, as he can analyze copies of the pictures to see your child’s progress. Keeping good oral hygiene is a major part of orthodontic treatment, and can speed up the treatment process. Several products on the market today that are designed to help children understand and enjoy good oral hygiene. There are interactive apps for smartphones and tablets that are free. One called “Magic Timer” was recently rated “Best New App for Kids.” The app works in conjunction with several Oral-B toothbrushes with themes like princesses, Disney characters like Goofy and Donald, or superheroes that will reward a child with “stickers” for brushing for two minutes and for brushing twice a day. 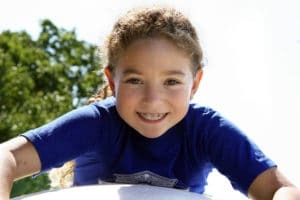 If you’re looking for an orthodontist near Yorktown Heights that can provide orthodontic treatment with braces for your kids and make it fun, then Dr. Glaser and the team at Glaser Orthodontics can help. Call 914-739-6400 to speak with a Glaser Orthodontics associate and put your child on the path to healthy, beautiful teeth! Dr. Barry Glaser and the team at Glaser Orthodontics are the experts in braces. If you have any questions pertaining to braces, clear braces, Invisalign, or Invisalign Teen in Yorktown Heights, NY, Cortlandt Manor, NY, Cold Spring, NY, Croton-on-Hudson, NY, Westchester County, NY or the 10598 area, or would like to schedule a complimentary consultation with Dr. Barry Glaser, contact Glaser Orthodontics at: 914-739-6400.